This week on The Bundesliga Show, Matt Hermann and Jon Hartley, finally get to talk about the announcement that Pep Guardiola will be taking over as coach of Bayern Munich in the summer. Outside of the Pep talk, there is the small matter of the return of the Bundesliga from the winter break. The fall out from matchday 18 and the a preview of next weeks games are all included. Sami Hyypia claimed anything was possible before Bayer Leverkusen’s trip to Bayern Munich as he insisted his side could win at the Allianz Arena. Hyypia’s comments would have no doubt surprised the Bayern hierarchy. After all, going into Sunday’s encounter, Bayern had won all eight of their Bundesliga games this season. To say that Jupp Heynckes’s side had been merely winning doesn’t give the Bavarians enough credit, because the Bundesliga’s record champions have been dominating in each and every game. It’s not like they didn’t have the majority of the play either on Sunday but for the first time this season, Bayern were humbled at the Allianz Arena. Now in situations where big teams suffer shock defeats, it’s very easy to focus on the woes of the losers, so let’s credit Bayer Leverkusen here. The coaching duo of Sascha Lewandowski and Sami Hyypia are doing a good job at the BayArena. The weekend’s result was not only momentous for them but for the club as well, because Bayer hadn’t won at Bayern for just over 23 years. Add into the mix that this was a win over former coach Jupp Heynckes and this victory was all the sweeter for Leverkusen – a team with the talent to push on into the top four. They certainly showed its well within their reach with their performance on Sunday. Most teams struggle to get out of their own half when they travel to Munich, yet Bayer were managing to create chances. Yes, they had to endure prolonged spells of pressure on their goal. Bernd Leno though was equal to anything Bayern had. When they ventured into what’s seen as uncharted territory in the Allianz Arena, that being Bayern’s half, they were causing problems. Stefan Kiessling had a goal harshly ruled out for an infringement in the box. The visitors carried on regardless. Leverkusen were rewarded when that man Kiessling finished off a good passing move just before half time. Cue the inevitable Bayern bombardment which follows any opposition goal. The visitors kept their discipline for much of the second half but their resistance was broken when Mario Mandzukic headed in from super sub Claudio Pizarro’s cross. From there, Bayern looked the only winners with just over ten minutes to go. Bayer’s chance looked to have gone, especially with André Schürrle spurning a glorious opening just before Bayern’s equaliser. Fortune looked to be with the league leaders in the final stages. Yet the slice of luck they needed came at the wrong end of the pitch. Sidney Sam’s header was drifting wide three minutes from time. Then the ball hit an object, namely Jerome Boateng’s face, wrong footing Manuel Neuer before bouncing tamely into the corner of the goal – Leverkusen were ahead. When Sami Hyypia said anything was possible prior to the game, this probably wasn’t what he would have had in mind. Nor would he have envisioned Manuel Neuer dribbling past players outside the Bayer Leverkusen box during stoppage time. That’s exactly where Germany’s number one was, and he nearly grabbed an astonishing assist too but Pizarro’s strike struck the bar. It wasn’t to be as Hyypia’s words were to ring true. It’s not really surprising that he held such an attitude before the game. This is a man who was part of a team that came from three goals down in a Champions League final. Just getting into that competition again would suit Hyypia and his coaching partner Sascha Lewandowski. More consistency is required for that to happen but as Bayer Leverkusen proved this weekend – anything is possible. So with Bayern Munich losing, it was catch-up time for the chasing pack. Schalke made sure of this with a 1-0 win against Nuremberg, meaning they’re just four points off the top. Champions Borussia Dortmund also secured an important win at Freiburg. That’s the Black and Yellows first away win of the season too but they’re still nine points behind Bayern. Bayern losing at home wasn’t the only shock on Sunday. Borussia Mönchengladbach finally found some form as they came from 2-0 down to win at Hannover. The Bundesliga’s favourite Venezuelan, Juan Arango, was the star of the show in Lower Saxony. It’s the first time Mirko Slomka’s side have been beaten at home in the Bundesliga since April 2011. Who beat them that day? Gladbach! It’s a funny old game isn’t it? Mainz have crept into the top six after a low key but good start to the season. Hungarian striker Adam Szalai grabbed a hat trick on Saturday against toothless Hoffenheim. Toothless was the word of choice too at Stuttgart’s 2-1 win over Eintracht Frankfurt. Defender Georg Niedermeier lost a tooth after a challenge with Alexander Meier, before playing on, of course. With Felix Magath in charge this season, Wolfsburg had only scored two goals in 8 games. In their first game without him, they scored four as they thrashed Fortuna Düsseldorf. Enough said. Hamburg, the side who have the unenviable task of playing an angry Bayern Munich next week, won 2-0 at Augsburg. And finally, in a weekend when quite a few records were broken, Greuther Fürth broke two themselves. They scored their first home goal of the season against Werder Bremen in a 1-1 draw – thus securing their first point at the Trolli Arena in the Bundesliga. 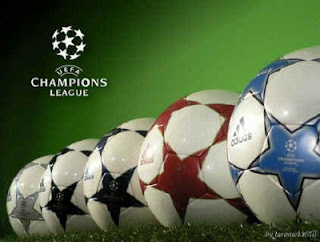 4 Borussia Dortmund 9 4 3 2 20:11 +9 15 CL* Qual. 5 Bayer 04 Leverkusen 9 4 3 2 15:12 +3 15 EL* Qual. 6 1. FSV Mainz 05 9 4 2 3 12:10 +2 14 EL* Qual. Jon Hartley talks to Eurosport commentator & uefa.com reporter Ian Holyman about Bayer Leverkusen’s dramatic win over Chelsea in the Champions League to secure their place in the next round of the competition. In the interest of full disclosure, the following words come from a bitter Bayer Leverkusen fan. Jon & Terry neither endorse this sort of knee-jerk analysis nor ascribe to the slightly deranged opinions mentioned below. Or they could–I just didn’t ask them. Bayer 04 should give those three points back to Valencia and someone should tie a knot in Robin Dutt’s scarf out of spite. Yes, Leverkusen rallied to nip three points off the Spaniards in a crucial Champions League tie at BayArena, but honestly, the victory does not feel deserved. The more important points, though, were matters of an ongoing nature, and the final outcome–which finds Werkself sitting on 6 points and 2nd in the group–glosses over these concerns like whitewash on a dirty and rotted wooden fence.Perhaps this is being overly critical of the club and its trainer only a few matches into the Bundesliga season and the alternate legs of European fixtures still to come, so take this with a grain of salt. There are three points to the bad that can be taken from that Valencia match, and they are unlikely to be addressed before Bayer 04 take on Los Che at the Mestalla nor in the preceding Bundesliga matches against Schalke 04 (massive) and Freiburg. That realisation is more frustrating than what transpired against the Vampire-Bats, or whatever it is Los Che means. To begin, what purpose did Michael Ballack serve on the pitch? Yes, this is a pinched nerve with Leverkusen supporters, but overall he was dreadful against Valencia. Having read the Bild story about how “Captain Ballack” dragged the club back with a brilliant 190 seconds of work, one would get the impression he had a good match. Isolating on him, though, it appeared he played most of the match at a trot slower than a farm horse with a broken back and couldn’t be too bothered about tracking back defensively, or moving beyond the speed of a submarine turning around in the water. About the only thing that was right about the Bild story was he pretended to be a part of the match for a little over three minutes. 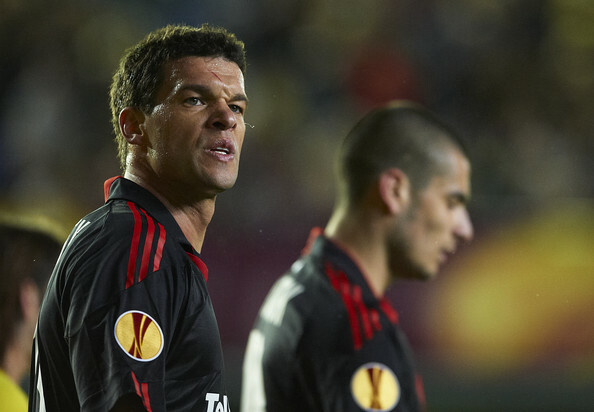 With Ballack in a more advanced position and doing virtually nothing other than looking for his Valencia defender and sticking close to him in case he had a snack or something, Ballack deprived both the attack and the defense throughout the match. At several points during both halves, Stefan Kießling was to be found having to track back considerably to assist on defending out wide–perhaps where “El Capitan” should have been. Further, there are too many times when Kießling was seen actually running past a lethargic Ballack far too deep in the midfield from his striker’s position to pressure an opponent on the ball or streaking in for a loose ball, then having to turn back to goal and dribble in to restart the attack.Isn’t that what Ballack should have been doing the whole time, with Stefan positioned somewhat more dangerously? The trickle-down effect–Reaganomics works people!–was that Simon Rolfes was made largely irrelevant where he was positioned. Ballack was occupying an area of the pitch Rolfes could have made some contribution out of in terms of being able to better link the midfield and the forwards, but instead he played a bit further back defensively in the 4-2-3-1 formation, which was of no help to anyone else wearing red and black on the evening. While there are some who will question his true worth, it is a certainty Rolfes would have done more playing in the more advanced CAM Dutt had Ballack occupy. In actuality, Rolfes did little more than get in Lars Bender’s way and quite often forced him to perform the lion’s share of the dirty work on a night when at least two of Leverkusen’s elder statesmen couldn’t be bothered. Judging by the number of times Bender committed to a tackle or slid to sneak an errant pass from Valencia’s midfielder, perhaps Rolfes was concerned that, given his age and injury history, he’d crack a hip doing the same thing. And he probably would have, which begs the question: why was Rolfes one of your holding midfielders while Ballack played up top Herr Dutt? Surely he spotted this same comedy of errors taking place and adjusted accordingly, right? Nein. Instead, the incongruity was allowed to continue, and in truth, the two goals where created mainly through the quality of Schürrle and Sam. Andre’s shot was a thunderbolt that punished Los Che for not moving out of their own penalty area quickly enough whereas the second came about because Sidney had the speed to get to that lazy pass from Ballack faster than his defender. Other than those moments, the remainder of the match was like a flaming bag of dog poo placed on the front porch by those meddling kids. It is the season for tricks and treats, after all. For Leverkusen fans, let’s hope Dutt’s got new tricks available soon, because there will not be too many more treats such as the one given Wednesday evening either in Champions League or Bundesliga. A short but sweet Bundesliga Show this week, where Terry Duffelen and Jon Hartley talk over Matchday 8, Bayern’s draw, Derdyok’s wonder goal and the Northern Derby cracker between Hannover and Bremen. Also in the show, a chat with Tim Röhn from Bild about the never boring boys from Bremen. Charging forward like a locomotive fueled by ambition and belching steam from all the euros that clubs burned to reach this much celebrated stage, the Champions League begins this week. At least, it feels a bit like group play of the 2011/12 competition has rushed upon us after having seemed so far away previously, still stuck at the station, waiting for more passengers prior to departure. This season’s Bundesliga participants might not be entirely ready for this oncoming freight train either, but the time has passed for flagging down the conductor and asking him to slow down. The whistle is about to blow for things to start–they will just have to hope they weren’t left looking for postcards in the station’s gift shop before getting on board. Of course, Bayern Munich have ridden these rails so often, the Bavarians were already enjoying cocktails in the dining cart before anyone else in their group took a seat. Jupp Heynckes already had to tell Mario Gomez to stop giggling when Philipp Lahm was asked to show proof of age in order to buy a pint. Twice. No, Bundesliga’s other two participants, Borussia Dortmund and Bayer Leverkusen, might be the ones looking a bit out of sorts before this Champions League play starts. Both sides have had their share of glory and–yes, in the case of Leverkusen–almost glory in this competition, but for both it has been a few years since either have returned to the grandest European contest; this lack of inexperience will likely show at some point during group play one would imagine. The same could be said for the trainers of both clubs, although Dortmund’s rather animated coach Jürgen Klopp has managed Europa League ties, with Mainz 05 (in ye olde UEFA Cup days) and with the Borussians last season. Werkself’s trainer Robin Dutt was just plucked out of the Black Forest not too long ago, though, so he might find the glare of the Champions League spotlight rather bright at Stamford Bridge. Then again, both BvB and Bayer 04 finished above Bayern in last season’s Bundesliga, so obviously there is top quality in both squads–why should either be given short shrift just because they lack a certain experience? After all, Tottenham Hotspur and Harry Redknapp showed for a time in this competition last season that sometimes all you need to do is run about and things might go your way. A key problem with this rationale, however, is that neither Dortmund nor Leverkusen are the same sides that finished first and second respectively to qualify. Both lost arguably their best players in the close season, with Nuri Sahin becoming the latest Bundesliga acquisition of Real Madrid while Arturo Vidal headed south to join the Old Lady. In fact, Vidal’s so good, they even built a new home stadium just for him at Juventus. Also, don’t look up that fact for accuracy. In short, both these sides lost the midfield engines that brought them such great success last season and thus far have been hard-pressed to replace the attributes they exhibited on the pitch. For BvB, Sahin was a perfect link between defence and attack, sparking offensive movements of his own deep in his own half at times and pulling off passes only he could see finding the proper target. As for Vidal, he developed into one of the best tacklers in the German top flight last season, and his confident control on the ball allowed his teammates to re-position themselves appropriately to pose either a scoring threat or be better placed to effectively defend. These types of skills will likely be sorely missed when going up against some of Europe’s better squads, and Bundesliga observers must hope neither side will have their shorts pulled down about their ankles as Werder Bremen did last season. Still, both could be set to ride this Champions League train for a while given the groups in which they have been placed. With Woolwichmund approaching (because it seems labeling the Arsenal v BvB encounters “Arsemund” is something rather disgusting) and the Gunners not in the greatest of shapes entering group play, Klopp and Dortmund might have the early upper hand at the Westfalenstadion. Really, in Group F the other three sides are all out of sorts thus far, with Arsenal having recently been humbled by an 8-2 drubbing from Manchester United in the Premiership, Olympique Marseille having yet to record a win in Ligue Un, and Olympiakos…uh…for playing in the Greek league? This is a Bundesliga site, not a Hellenic one–please be gentle. What this could mean, though, is Group F looks set to be evenly matched at the outset, and Borussia Dortmund could find themselves blitzing through as group winners should Klopp employ the frenetic, lung-bursting attacking style his squads seemed built to do. As for Bayer Leverkusen, the Werkself might have less of a chance with Chelsea and Valencia expected to top Group E. The Michael Ballack farewell tour appears to have the makings of a mucky midfield scrap, and if AVB employs the proper tactics befitting his reputation, Dutt might ask to borrow his chalk board. Bayer 04 might have thought they received a reprieve when midfielder Juan Mata was allowed to leave Valencia, but he’ll be opposing them at Stamford Bridge for the Blues instead. Rene Adler will likely be out until at least October, and while Bernd Leno has performed well in goal for Leverkusen in Bundesliga, he will be manning the net against extremely seasoned Champions League campaigners without an equally experienced centre back pairing in front of him to act as a security blanket. The hope for Bayer, perhaps, lies in the Torres factor. Having recently had his comments regarding his Chelsea teammates come under club scrutiny, along with his rather poor rate of return following January’s sensational transfer from Liverpool, Fernando Torres has yet to discover how to win friends and influence his neighbours in London. He came on as a substitute in Chelsea’s most recent Premiership match, perhaps with an eye to saving him for this Champions League encounter with Leverkusen. With the club investigating his disparaging remarks about the squad and with Didier Drogba unavailable, might AVB opt for a forward partnership that includes young Daniel Sturridge instead of Torres, or does he start Torres and hope everyone plays nice? Mario Gomez is still giggling in the dining cart, by the way. As for Bayern Munich, what could be said as they prepare for Wednesday’s trip to El Madrigal? Considering the Red Shorts just completed putting seven past SC Freiburg and Villarreal began their La Liga campaign by shipping five to Barcelona, this might be the least intriguing Champions League match involving a Bundesliga side. Expect much to be made of their tussle with Manchester City in a few weeks instead, when Germany’s No. 1 squares off against England’s No. 1 at the Allianz Arena. This week, however, one might imagine the Bavarians should sink the Yellow Submarine and announce to the other clubs they will be fighting for the second spot in Group A. So, the train has left the station. How far will Bundesliga’s representatives be riding it? For those of us following the fates of these clubs, here’s hoping none of their campaigns become derailed too soon, particularly when the final destination stops in Munich. Across the pond, we have a delightfully horrid beverage known as Thunderbird. A fortified wine, it is intended to get you properly inebriated while simultaneously providing you with a curious sensation of having just licked asphalt after consuming the bottle’s contents. An occasional side effect includes discoloration of your lips, just to add a bit of comic relief to your evening should you find yourself venturing anywhere else from the parking lot of the liquor store from where you purchased said Thunderbird. Of the prime reasons why it still exists and is sold in an age when bathtub gin is no longer a prerequisite for getting tanked, Thunderbird is incredibly cheap and ready to be used almost immediately upon procurement. It even comes in a tiny brown paper bag that can be recycled, which is good to Mother Earth and all. This leads us, completely unnaturally, to Bayer Leverkusen’s current man between the sticks, Bernd Leno. When the young player was taken on loan from VfB Stuttgart 10 August following the mess David Yelldell made in Werkself’s 1st round loss in the DFB Pokal and a concussion suffered by Fabian Giefer in the 2-0 league loss to Mainz,he was immediately thrown into the starting XI against a tricky Werder Bremen side. One clean sheet and a win later, he remained the No. 1 and was put up against those very same Swabians who had loaned him out the previous fortnight. The result was identical–another clean sheet for Leno, another three points for Leverkusen. Certainly, facing last season’s champions in form of Borussia Dortmund, complemented with all the attacking verve to make even the most seasoned Bundesliga GK sweat through his gloves, Leno would be caught out, right? Yet again, Leno produced a clean sheet, making some remarkable saves along the way in a tense affair likely to be remembered when those two sides meet next at the Westfalenstadion. Leno was ready to intoxicate, right out of the bag, and came relatively cheap too. Let’s hope he doesn’t make Robin Dutt feel like he’s been licking a dirty street later by falling out of form. Anyone listening to the English commentary of that BvB match might have been struck by some of the hyperbole spilling forth later in the 2nd half, when Leno’s performance was being compared to that of Manuel Neuer. To begin, Dortmund attacking players did not seem to all be dancing to the same rhythm beat out by Juergen Klopp on the day, which made the 19 yr old’s day considerably easier. Further, this was only his third senior Bundesliga match, and neither Werder nor Stuttgart were considered overwhelming favourites in his opening two matches. Still, though, his display against the reigning Bundesliga champions and his third straight match without allowing a goal might suggest young Bernd might be a bit special going forward, but perhaps Neuer comparisons should be tempered just a while longer. For a young keeper, he has thus far demonstrated considerable skill in anticipating when a troublesome cross is coming his way and where he should be positioned. He also has displayed alacrity with respect to decisions on when to come off his line and smother a loose ball, rather than deferring to his defenders to see off a threat. It has even been remarked by teammates like Hanno Balitsch that Leno has no fears over being vocal from the back and appears confident in the decisions he makes, both in training and during the match. Perhaps the most difficult adjustment for a young, inexperienced keeper in any top flight to make–particularly in Bundesliga–comes down to positional awareness and a lack of fear in taking charge of his penalty area. With the higher quality opposition in Germany’s top flight often widening their attacks and sending in crosses from the wings for other players to dart into the centre for a quick strike, these are two qualities essential for success for GK in Bundesliga. Just ask Thomas Kraft about that, after his good but not so great time with Bayern Munich last season. Next for young Thunder Bernd–yes, this is a nickname I am considering using for him, so you will have to abide–is newly promoted Augsburg. While this side appears to pose little challenge to Bayer 04, their early season play suggests the gameplan is to go wide and confuse the opposition’s keeper so that he forgets Sascha Molders is standing right there on his doorstep ready to crack a shot past him. Here again presents a new challenge for Leno and, should he perform similarly to his previous three performances, Rudi Voeller will likely be in contact with VfB hashing out the details of a permanent move for the lad rather than ending his loan spell with Bayer 04 at the winter break. After all, when you have discovered Dom Perignon was filled in that bottle of Thunderbird you purchased at the last minute in a fit of desperation, you don’t want to have to go back into the store and run the risk of buying actual Thunderbird, do you? That is, unless you needed to get something for Yelldell to drink to go with the hash he made earlier?